First, before going into the heart of the subject “on the collective aura”, I will tell you the birth of the first lines of this article and my writing process. Since the summer of 2018, I have been in the habit of questioning my left hand (I am right-handed). It’s like a meditation. I land in myself and center on my left hand. Then with this same hand, I note the words and the images until the appearance of a central idea. The 3 focuses will be used as a reading prism for each principle. in the United States a manager will quote you 3 positive points for a negative point that he wishes to see you address. A French manager will note that the bad points, the positives being acquired since you have been hired for this. An American manager will begin with the conclusion, and will come gradually to the how. The French manager will start with the concept, the principles, the how, to finally approach the conclusion, object of the meeting. 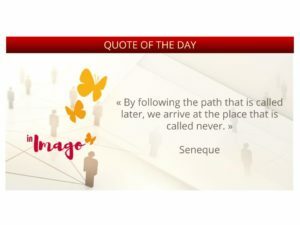 Over the course of the transformations that I accompanied, I realized that this cultural aspect was very often the stake of the change expected by the organizations, and the main pitfall in the change of mentalities. 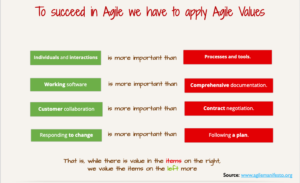 In France agility is a concept : it is the ability for a business to adapt quickly to changing situations. Across the Atlantic, I will say that agility is the common realization of an intention, object of the business that engages the customer and the team. 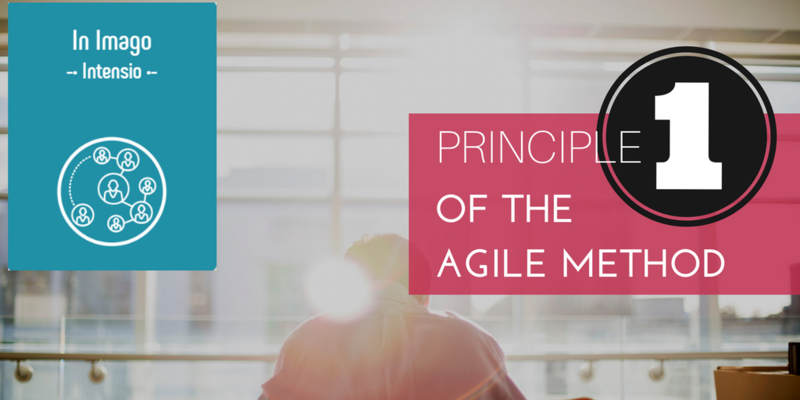 In this context, the four values ​​of agility grouped in the Agile Manifesto can be seen as a reminder of the fundamentals of effective management. The four values ​​are and are inseparable from the process of achieving intention. In the first two parts of the four levers of transformation, I set about building the foundations for personal transformation and then, building a team around the values of C.I.D.s, namely Courage, Intuition, Défi (Challenge) and sens commun (common sense). It is the common sense that allows the C.I.D.s to share his vision, and it is the common sense from the vision that federates the team. Here, it is the basics of the construction of a company’s organization that are re-visited with the C.I.D.s focus. 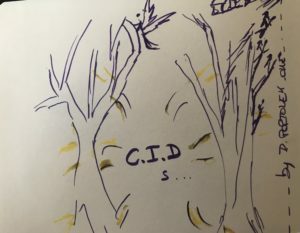 C.I.D.s : the C.I.D. s is the representation of” the 4 levers of the success of your Company’s transformation which are respectively-Courage, Intuition, Defi as Challenge, sens commun as common sense. This lexicon contains all the definitions associated with the articles “The 4 levers of your Company’s transformation”. I imagined them by writing my articles. It specifies, in particular, the attributes of the C.I.D.s as well as my understanding of the companies organizational system. This lexicon is also the vocabulary associated with my coaching offer. For the last 7 years, Dominique Popiolek – Ollé, Agile Coach, has been supporting teams in setting up projects: from idea to transformation, at the company level. Her experience of the reorganization and her very human and emphatic way she talked about it led me to want to share this exchange with you, dear readers. From business to business, from transformation to transformation, I often come up against the syndrome of the dispersed team, to see nonexistent except in the count of the resources of the information systems. The C.I.D.s is our individual ability to experience our Mago, our personal magician. We saw how become C.I.D.s in the 4 levers for Sucess of your Company’s transformation-part 1. When he is part of a team, the C.I.D.s is the guarantor of the collective commitment. The 4 levers for the C.I.D.s that are: Courage, Intuition, Défi as Challenge and sens commun as common sense. How the C.I.D;s deals with in the heart of the team. and this, is the one way to suceed. “Do what you do so well that they will want to see it again and bring their friends.” – Walt Disney.